Due November 29 in Europe (January 21, 2014 in North America), the package features a mix of classic Scorpions tracks and new songs. In September, the German rockers performed three MTV Unplugged concerts in Athens, Greece at the city’s Lycabettus Theatre. 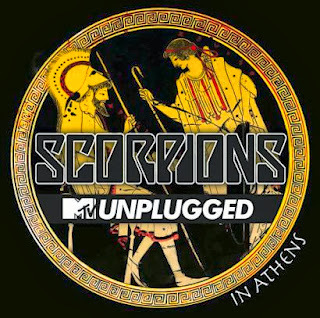 “MTV Unplugged - Scorpions Live In Athens” will be available on CD, DVD and Blu-ray disc.